deeply shallow: Print version of Imaginary Friends launches this Saturday! Print version of Imaginary Friends launches this Saturday! 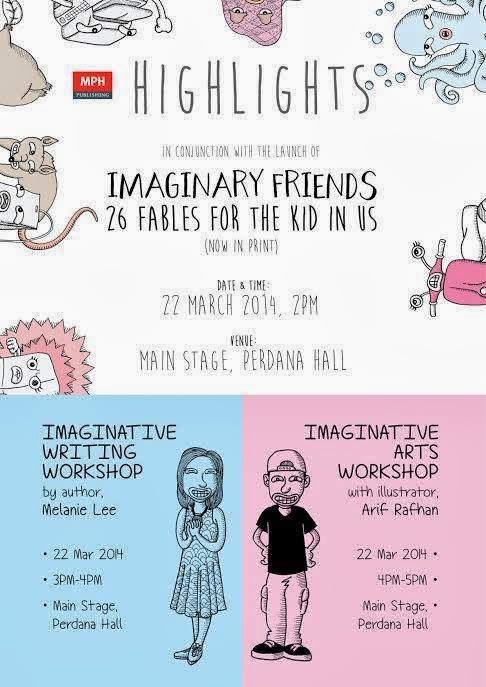 Because I'm just SO bad at keeping up with everybody and everyone, I just realised that my friend Melanie Lee is launching the print version of her book Imaginary Friends: 26 Fables for the kid in us this Saturday, 2pm at the Putrajaya International Book Festival. And I can't go because I've been making lunch plans AND tea plans like crazy. The illustrations have been awesomely reworked (from what I can tell from the updates in her facebook page) giving it a more edgy, contemporary style than before. I've previously reviewed the original e-book here in all its old-style, cutesy glory! (Fun youtube song included!) Go get it, 'kay? 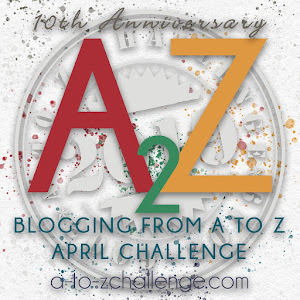 P/S - Check back here tomorrow for the A to Z theme reveal. And if you haven't signed up for A to Z yet, DO SO NOW. PP/S - Imaginary Friends was born out of A to Z. REALLY WAN. Well, I think so anyway. PPP/S - The Love in Penang giveaway starts tomorrow as well.